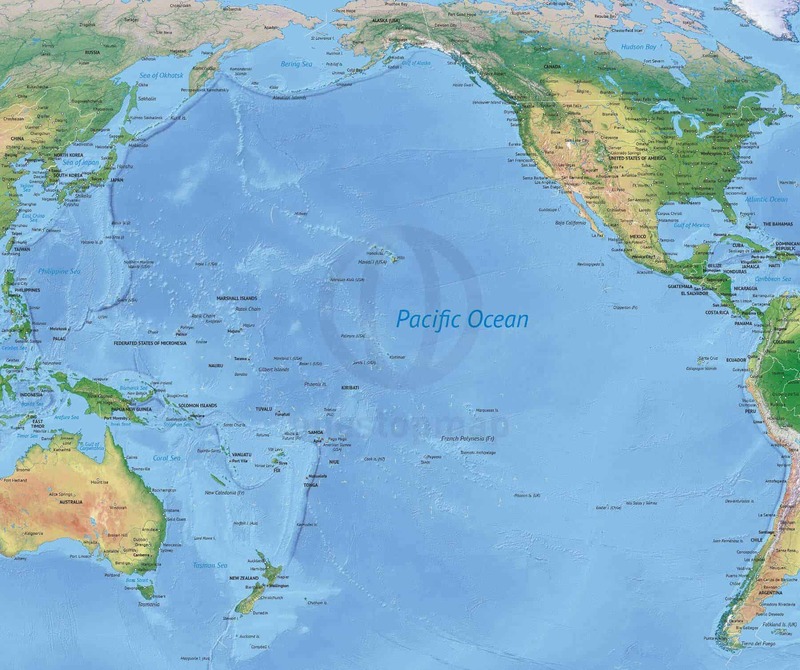 Printable and editable stock map of the Pacific Ocean, in Summit style with shaded relief in the background. This map has several layers including countries, states/provinces, capitals, large cities, large rivers and large lakes. Printable map (jpeg/pdf) and editable vector map (ai/pdf) of the Pacific Ocean, in a political theme with shaded relief. 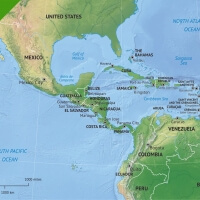 This map has several layers including countries and state/provinces, capitals, large cities, large rivers and large lakes. The country and state/province areas are not shown, but are selectable and editable. The printable option includes two file formats: XL resolution JPEG photo and PDF. The JPEG is extremely large: 20 in (60 cm) wide – 300dpi. The PDF is non-layered, has no editable text, but is scalable to any size without loss of quality. The vector option will get you a vector map that is extensively layered, editable and accurate. A vector map can easily be scaled up or down to any size you want without loss of quality. Every map feature is selectable and editable. Text is real text. File formats included are AI and PDF (JPEG XL resolution also included). As part of our support when you buy this map, you can always contact us to retrieve yet another file format. This map comes with a royalty-free license. More info about our licenses can be found here.